With the Academy Awards later this month, it’s only appropriate that TDS TV on Demand brings to your living room some of best films of 2017. For virtuoso acting performances, you don’t have to go any further than a trio of great movies, including the coming of age comedy “Lady Bird,’ the Winston Churchill biopic “The Darkest Hour,” and the tragic “Three Billboards Outside Ebbing, Missouri.” Each features some of the best performances of the year. Also, don’t miss out on Pixar’s wildly fun and Academy Award-nominated “Coco”—probably the studio’s best flick in years. Available February 27. Rated R.
“Lady Bird” is an honest, quirky coming of age comedy with heart and soul. 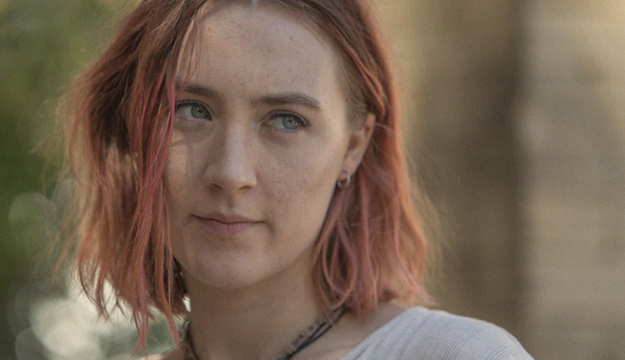 Saoirse Ronan is Lady Bird—a rebellious 17-year old girl trying to find her place in the world. Laurie Metcalf is the mother who struggles to understand her awkward daughter. Ronan and Metcalf are magnificent, providing multi-layered performances. 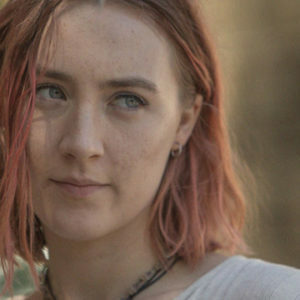 “Lady Bird” is one of the most critically-acclaimed films of 2017, and has been nominated for five Academy Awards (Picture, Director, Screenplay, Actress and Supporting Actress). Don’t miss it. Available February 20. Rated PG=13. During the early days of World War II, as England faces destruction, Winston Churchill is appointed Prime Minister. Gary Oldman gives the performance of a lifetime as the crotchety Churchill—the man who must overcome skeptics to lead his nation from the brink of defeat. “Churchill” is a rousing biopic—over simplistic at times—but moving and entertaining all the same. The film has been nominated for five Academy Awards, including Best Picture and Best Actor. Available February 20. Rated PG-13. If you saw “Daddy’s Home” and laughed, get on board with this silly sequel. This time around Will Ferrell and Mark Wahlberg are joined by Mel Gibson and John Lithgow as the fathers who upset their Christmas. While predictable, “Daddy’s Home 2” is harmless fun. Available February 27. Rated PG. A young boy, Miguel, who dreams of being a musician enters the Land of the Dead to find his great-great-grandfather, a legendary singer. “Coco” is the latest film from the folks at Pixar. It mixes amazing animation with outstanding music and a funny and engaging story. “Coco” has been nominated for two Academy Awards, including Best Song and Best Animated Feature Film. Raw, angry and darkly comic, “Three Billboards Outside Ebbing, Missouri” is about a mother who dares to challenge the local police to solve her daughter’s murder. Frances McDormand (nominated for an Academy Award) is brilliant as the grieving mother whose anger and rage engulfs her small town like a tornado. She is matched by Sam Rockwell and Woody Harrelson (both nominated for Academy Awards) as the law enforcement officers who are the focus of her wrath. Nominated for seven Academy Awards (Picture, Actress, Support Actor and Screenplay).